To make credit management part of Continental’s overall business processes. Through a thorough understanding of the automotive market, supported by business intelligence that complements Continental’s own due diligence. Continental both enjoys peace of mind and a dynamic approach to informed sales procedures with credit insurance across their entire receivables portfolio. We have been providing Credit Insurance for the Continental Banden Groep B.V in the Netherlands for more than 40 years. Bert Stellinga, Director, asserts that a key positive in this relationship is how well we understand the tyre industry. Continental’s central Credit Insurance aim is to develop a system that is part of their overall business process. Their credit insurance team works closely with their sales teams to design contracts tailored to the needs of individual buyers. They work to minimise their exposure to risk while also building strong relationships with, and an understanding of, their buyers. Continental’s operation in the Netherlands is a substantial business, serving customers in more than 30 countries both within and outside Europe. A key part of their credit insurance aims was to work with a credit insurer with a local presence in each of the markets they served. In particular, they sought an insurer who could provide good quality information about individual country markets and cultures, the relationships that potential buyers may have with other businesses, and how these can be applied to the assessment of risk. We have worked closely with the Continental Tyre Group BV for more than 40 years. Originally, we insured Continental’s export activity, but during the last decade we began providing Credit Insurance for the Group’s entire receivables portfolio. Our understanding of Continental’s business aims, as well as our knowledge of the market and sector is important. 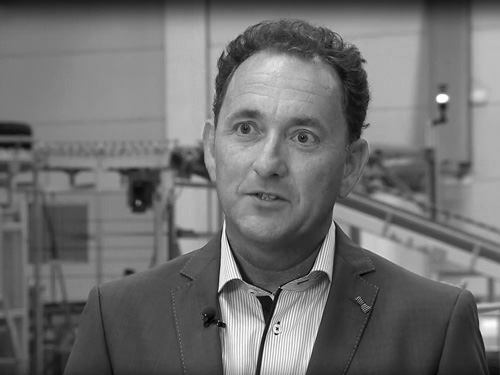 Bert Stellinga acknowledges the strength of our working relationship, describing it as “a very pleasant co-operation.” He adds: “The important part is that we have a long history of co-operating; Atradius knows our business very well. As Bert Stellinga explains: “Credit management is an absolutely essential part of our business at Continental Tyre Group BV, but we do not operate it in isolation. We believe it is important to integrate our credit insurance approach and knowledge with our sales teams. We promote and maintain good contact between sales and credit management to ensure that the knowledge about and relationship with individual customers is understood from every angle. It helps our sales teams to minimise risk if their proposed exposures are shared with our credit team. About Continental Banden Groep B.V.
Continental Banden Groep B.V. is part of Pon, one of the largest family-run businesses in the Netherlands. Based in Barneveld and employing around 100 people, the company is responsible for importing and distributing tyres from Continental and other brands. In addition to working as a Europe-wide wholesaler for passenger car, van and bicycle tyres, the Group is active in the market for industrial tyres, steel and alloy wheels and technical rubber products. Continental Banden Groep B.V has been importing car parts into the Netherlands from their parent German tyre brand for more than 65 years. In addition, this Netherlands-based wholesaler does business in more than 30 countries both inside and outside Europe. Atradius have always been very professional and understand our commercial decisions. They listen to us and allow us to work with account managers who are accessible and pay attention to our needs and our business.